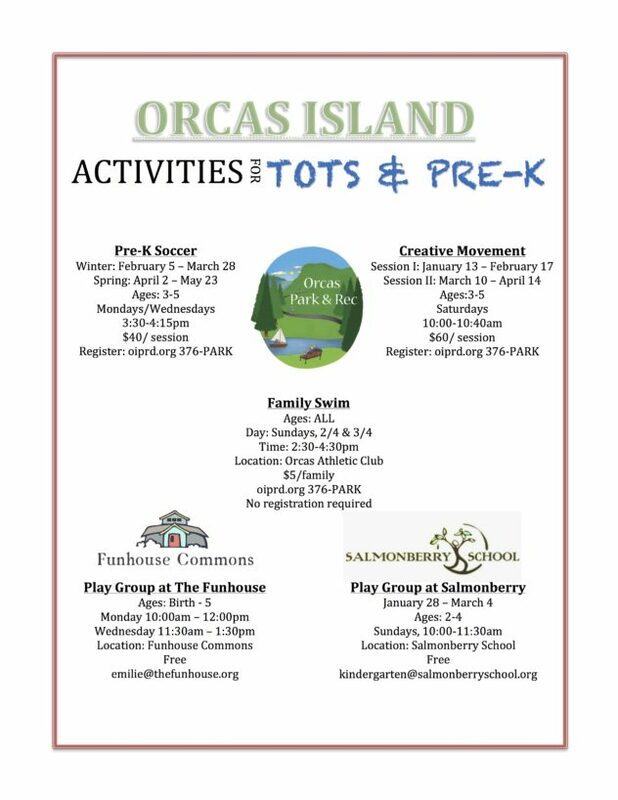 Check out these programs for Orcas Island little ones! There are still some scholarships available through Orcas Park and Rec for Pre-K Soccer and Creative Movement. Volunteer with Park and Rec!